My CP is starting a diabetes clinic in the local group practice and tells me that I no longer need to attend the hospital clinic. It’s much more convenient for me to go to see my CP but will this be all right? You are fortunate that your general practitioner has a special interest in diabetes and has gone to the trouble of setting up a special clinic in the practice for this. 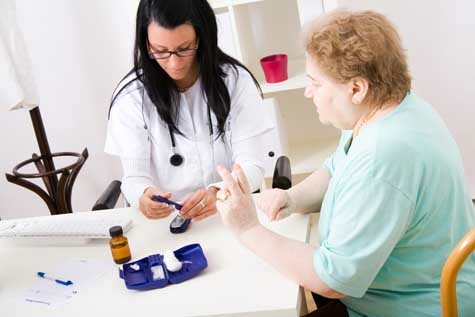 Many GPs and practice nurses have had special training in diabetes and these general practice-based diabetes clinics are becoming more common. 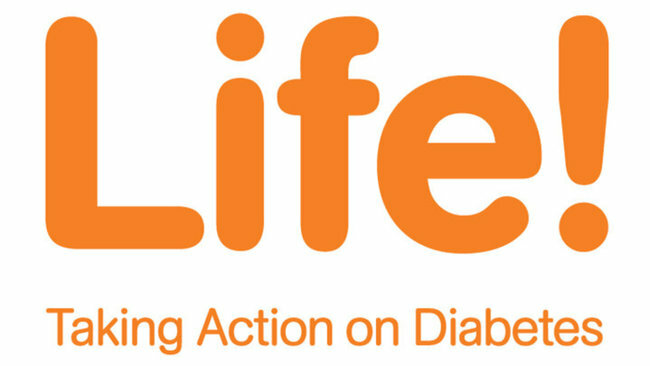 They usually work well as long as you have uncomplicated diabetes and are well controlled, but you should be aware of the sort of care you can expect: Diabetes UK’s recommendations are given at the end of this section. We are sure that your hospital specialist will know about your CP’s new clinic and may even attend it from time to time. If you have any anxieties, why not discuss them with your doctor? My CP is keen to test my urine every year to ‘look for evidence of kidney damage’. This sounds very frightening. Please explain. The test goes by the name of microalbuminuria. For years nurses in diabetic clinics have asked for a urine sample which they test for protein. This is a crude test and is only positive when there is a lot of protein in the urine. The new test is very sensitive and detects minute traces of albumin (the body’s most common protein). Research has shown that protein detected in such small amounts is the first sign of kidney damage but at this early stage it can be reversed. This damage can be slowed by keeping the blood pressure below 135/75 and controlling the blood glucose – HbA1c 7% or less. The result of this test is often presented as a ratio of albumin (the protein) to creatinine, which corrects for the flow of urine at the time. The best result is to have a ratio of less than 0.5. The top limit of normal is usually quoted as 3.5 for women and 2.5 for men. If left untreated, the amount of protein in the urine will increase until it can be detected by conventional urine testing sticks. Over a period of years, this may progress to kidney failure and the possible need for dialysis or a kidney transplant. At the early stage of microalbuminuria, this process is reversible by control of blood pressure and glucose. There is good evidence that people with normal blood pressure and microalbuminuria can be protected by treatment with a tablet called an ACE inhibitor. I have trouble obtaining enough blood to perform a blood sugar test. Is there anything that I can do to make this easier? The good news is that many of the new meters need only tiny amounts of blood in order to perform a test. However, if you are having trouble obtaining enough blood then try warming your hands by washing them in warm water before you start, and drying them thoroughly before pricking your finger. When squeezing the blood out of your finger, try ‘milking’ the blood out gently, allowing the finger to recover between each squeeze. Do not squeeze so hard that you blanch the finger white. I am about to buy a meter that allows blood to be taken from the arm. Are there any problems with arm testing? Arm samples should only be used for testing prior to, or more than two hours after meals, an insulin dose or physical exercise. Fingertip testing should be used whenever there is a concern about hypoglycaemia (such as before you drive a car), as arm testing may not detect hypoglycaemia. Obtaining sufficient blood from the arm is not always easy but for some it is a welcome alternative to fingertip pricking. Your health professional should be consulted before you begin arm testing. facebook Canadian Health and Care Mall – new article and news. Subscribe. I have heard that there is a way of obtaining blood from a finger using a laser. Is this true? The Lasette is a single shot laser that makes a small hole in the finger to obtain a drop of blood, but it is not a blood glucose monitoring device. The use of laser light, as opposed to a steel lancet, reduces tissue damage, and many users of the device report feeling less pain than when using a traditional lancet. It weighs just less than 260 g (9 02). However, it is very expensive. It is slightly smaller than a videocassette. I would like to measure my own blood glucose levels, but as I am now blind I do not know if this is possible. Can it be done? After a long spell when no speaking meters were available there is now the new SensoCard Plus Meter which will speak instructions and also speak the result. The meter has recently come down in price. Strips are available on prescription and your pharmacist would need to contact the company, Cobolt Systems Ltd, directly. It also supplies control solution to check that the meter is working properly, and software to download results from a computer. It is no laughing matter when one contracts this horrible disease. Early symptoms might include headaches, dizziness, thirst, hunger and a few other mild out of sort’s conditions. It’s when the other more serious symptoms start that one generally becomes very anxious. The feet may lose feeling, the centre of the brain feels numb, the eyes are not what they used to be and balance is fading. You head to the doctor’s and a sucrose tolerance test is ordered. You suspect high blood sugar because you have a sweet tooth and a great love of chocolate and ice cream. So will that explain why you are so thirsty, particularly when you wake up in the morning? What about that funny feeling in your tongue? Some of these symptoms go with high cholesterol and high blood pressure and these too are warning signs for diabetes. During my lifetime there have come and gone many with the disease and the thing noticed most about them is the smell of their breath. It is a somewhat sickly artificial smell that might be explained by the intake of insulin. My grandmother had diabetes and that smell was prominent on her breath and would see me avoiding coming too close to her face, although her affection was much sought after. Lately some diabetics have come to my attention in hospitals where they were having lower limbs removed. In the eye hospital some were being treated for blindness and other things. These are all reasons to avoid sugar at all costs and yet parents feed masses of it to their children. Soft drinks or sodas are full of it, some worse than others. Chocolate bars and candies are quite potent poisons and ice cream loaded with sugar is also full of fat. The most common symptoms of onset diabetes are well known among medical researchers and doctors. But these common symptoms can be misleading due to the fact that these symptoms also appear in diseases other than diabetes. The common symptoms of onset diabetes are excessive urination, dramatic weight loss in a short period time, extreme thirstiness, sudden bouts of impaired or blurred vision, and a constant feeling of listlessness and no energy. These are the common signs, but just because you do not have any of these symptoms does not mean that are protected from the disease. When a person has this illness, it means that his body cannot regulate the amount of glucose in his blood stream. This means that either his body is not making enough insulin to convert the glucose into energy. Or the body is producing enough insulin, but for some reason the body is not able to make use of the insulin. In either case, the end result is that the body ends up with too much glucose in the bloodstream. Extended periods of too much blood glucose is bad for the body. It can cause drastic shocks to the system as well as the gradual shutting down of the body organs of the body. 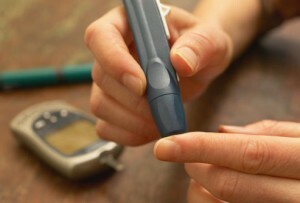 The symptoms of the disease are recognized at different points for the two main types of diabetes. For type 1 or juvenile diabetes, although there is no definitive age, these symptoms usually start to show up around the age of 14 or so. For “adult” onset diabetes or type two diabetes, the symptoms – if they appear at all, normally begin to show up in the early twenties. It is worth noting, however, that type two diabetes is showing up earlier and earlier in the population. This is primarily due to the fact that it is basically triggered by diet and obesity. And as the American diet seems to get worse every year, teenagers get fatter each year, and the incidences of this disease increases every year. Most of the aforementioned symptoms of onset diabetes are signs that can be observed either by careful observation or sight. But there are medical symptoms as well. For example, obesity – especially in those with pear shaped bodies – has a very close correlation to diabetes. High blood pressure is another medical condition that has a high correlation to diabetes. 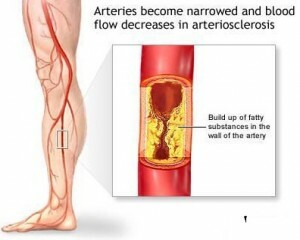 High fat levels in the blood is yet another symptom that diabetes may be present. And there are many others as well. Again, the presence of any of these symptoms does not indicate diabetes – but the presence of any of them, and especially the presence of more than one of them, is a sign that you should probably have your doctor test for diabetes. As mentioned before, some people with illness do not manifest any obvious symptoms. That is why it is good to periodically have your blood sugar tested during your physical. This is especially true if you have a family history of diabetes or if you fall into any of the high risk groups that are known to be susceptible to the disease.